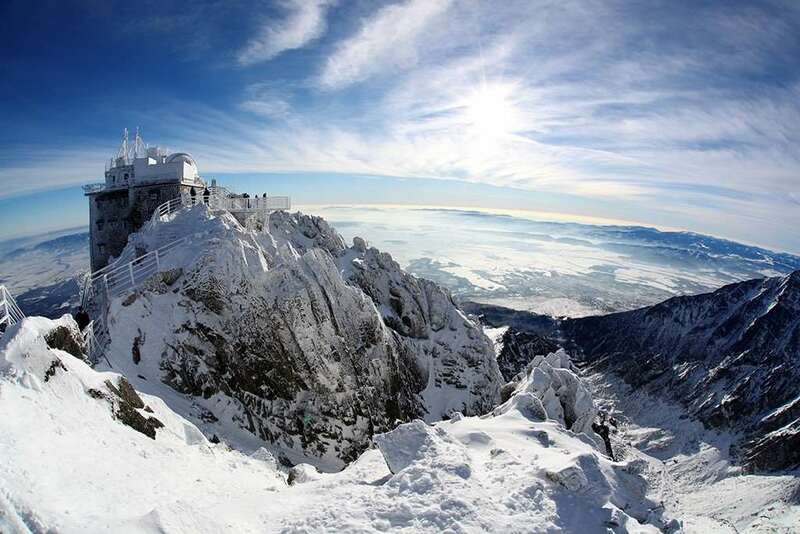 Tatras (Vysoké Tatry) is the perfectly placed destination for your Slovakian ski holiday. Made up of 27 different ski resorts and marking the highest point of the monumental Carpathian mountain range this magical place can be found deep in the heart of northern Slovakia’s Tatra National Park. Home to some of the best ski resorts in Slovakia, Tatras provides astounding views of the Slovak mountains and beyond. Explore any of the three areas (Western, High and Belianske Tatras) and you’ll be delighted with the natural wonders on show including peaks, mountains, lakes and basins. A photographers dream and a registered UNESCO site, the unique flora and fauna of Tatras add an extra something special to your stay. Get around your chosen resort with ease as most accommodation in the Tatras Mountains is often located within a classic and convenient mountain village. Travelling further afield is a pleasure with awe-inspiring views from an elevated cable railway or ground level trams, cog railways and trains to transport you through high peaks and blissful scenic views. Slovakia’s cold and snowy winters make ideal skiing and snowboarding conditions and adventurous spirits can make the most of this with endless outdoor activities to enjoy from skiing, snowboarding and cross country skiing to night skiing and even paragliding to name just a few. Beginners will love the town of Stary Smokovec situated neatly around mineral water springs, for its easy routes and everyone can enjoy nearby underground caves and thermal pools for a break from the slopes. More experienced skiers can head for the steepness of Lomnické sedlo in Tatranská Lomnica with a vertical drop of 1,300m. Extend your time in Slovakia to explore the unique natural beauty and culture of this central European wonderland. Find fairy tale castles and historical chateaux’s, grab a glass of Kofola or try some of the popular and best loved locally brewed beers whilst picking up a charming history lesson from a friendly local. 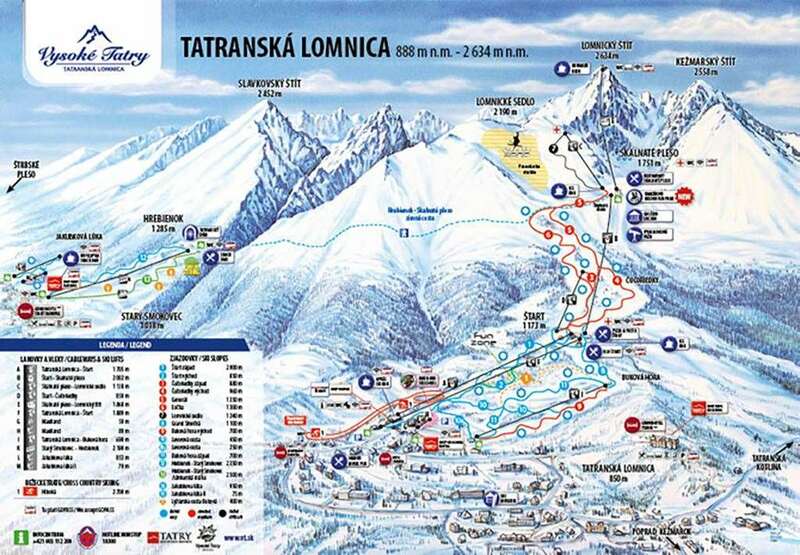 Stats listed are from the Tatranská Lomnica ski region.